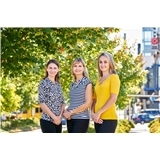 Northgate Smiles (Seattle) - Book Appointment Online! **These are requested appointments only, our office will be contacting you to verify the appointment time and details of insurance. We require you to speak with our office for confirmation. These appointment requests are not automatically confirmed. ** At Northgate Smiles in Seattle, our dedication to dentistry excellence means you receive the finest care in cosmetic and family dentistry made possible by training, experience and technology. We are committed to providing personalized cosmetic dentistry and family dental care in a comfortable, professional atmosphere. I jokingly say that I have helped put Dr. Aylen's children through college. I have been with this dentist office for many years. They always take good care of me. I trust the information they pass onto me.